With the smart suspense of Emma Donoghue’s Room and the atmospheric claustrophobia of Grey Gardens, this “bizarrely unsettling, yet compulsively readable” (Iain Reid, internationally bestselling author of I’m Thinking of Ending Things) thriller explores the twisted realities that can lurk beneath even the most serene of surfaces. What becomes of a child who grows up without love? Marion Zetland lives with her domineering older brother John in a crumbling mansion on the edge of a northern seaside resort. A timid spinster who still sleeps with teddy bears, Marion does her best to live by John’s rules, even if it means turning a blind eye to the noises she hears coming from behind the cellar door...and ignoring the women’s laundry in the hamper that isn’t hers. For years, she’s buried the signs of John’s devastating secret deep into the recesses of her mind—until the day John is crippled by a heart attack, and Marion must face what he has kept hidden. This readers group guide for The Visitors includes an introduction, discussion questions, and ideas for enhancing your book club. The suggested questions are intended to help your reading group find new and interesting angles and topics for your discussion. We hope that these ideas will enrich your conversation and increase your enjoyment of the book. Marion Zetland, a timid, middle-aged spinster, lives with her authoritarian older brother in the decaying mansion of their childhood on the edge of a northern seaside resort. Marion tries to live by her brother’s rules: doing the shopping and the laundry, preparing their quotidian meals, and staying out of his business. With only her teddy bears and imaginary friends for comfort, Marion does her best to shut out the shocking secret that John keeps in the cellar. But when John becomes suddenly ill, Marion must open the door to the other side and come face-to-face with the gruesome truth—and her own darkness. 1. Consider Marion’s warning to herself about the noises from the cellar on the novel’s opening page: “Don’t think about it, she warned herself, or you’ll go mad, just like Great-aunt Phyllis” (p. 1). Is this a self-fulfilling prophecy? Does Marion go mad? 2. How does Marion’s childhood, particularly her parents’ old-fashioned and aloof parenting styles, affect her later in life? How do Marion and John take after their parents? 3. Is John a good brother to Marion? How would you characterize their relationship? Are there any redemptive qualities in John’s actions toward Marion? 4. What was your first impression of Marion? What was your first impression of John? How are they similar and different from each other? 5. Is Marion as unlovable and unintelligent as her mother, John, and the other school children seem to think? How do you know? 6. Is Marion a reliable narrator? Why or why not? 7. What role do Marion’s daydreams and her imaginary relationships play in her life? Consider this passage: “In the same way a starving man might swallow rags to stuff his belly, Marion found it was possible to fill the emptiness inside her with daydreams” (p. 158). 8. Misfortunes seem to befall those who cross Marion—Juliet, for example, found “lying unconscious in the frozen mud of Albert Park” (p. 39). How did your understanding of these events and Marion’s role in them change throughout the novel? Do you think Marion is aware of her own role in these events? Why or why not? 9. Discuss the significance of the title—is there another, more apt word for the so-called “visitors”? Before you read the book, what did “visitors” in the title invoke for you? 10. Marion’s true nature starts to come out through her interactions with the lady in the grocery story and Brendan O’Brian, the psychic medium. Were you surprised by what is revealed about her? 11. How does the reclusive and antisocial Marion manage to maintain a relationship with Lydia, and tangentially Judith, over twenty years? Why is Marion’s relationship with Lydia so important and unique to Marion? 12. What prevents Marion from helping Violetta and the other visitors? Is Marion a heroine, villain, or accomplice? 13. Whose transgressions are worse: John’s or Marion’s? Why? 14. Does Marion get what she deserves in the end? Why or why not? How is she transformed from the beginning of the novel? 1. The dilapidated mansion of Grange Road and eccentric cast of characters would make a fascinating film adaptation, in the vein of the infamous Grey Gardens documentary. Who would you cast as John, Marion, Judith, and the other characters in the film version of The Visitors? 2. 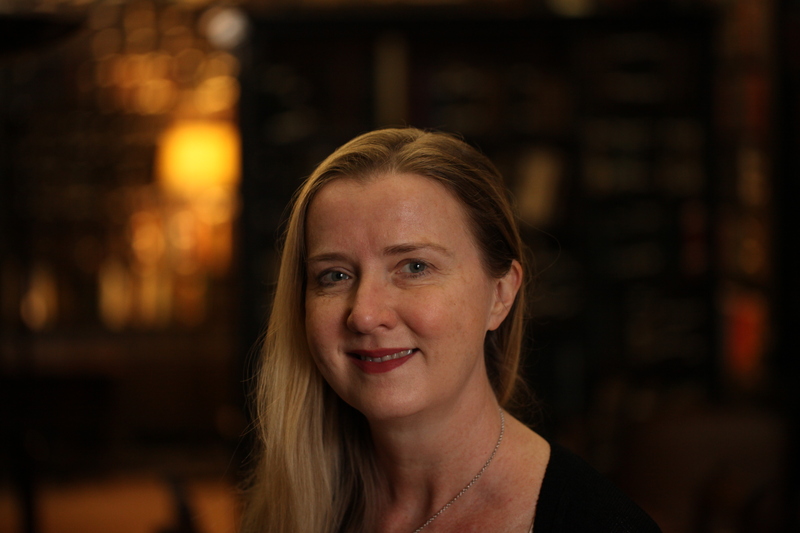 The novel is told through the eyes of Marion Zetland. How would it be different if the story was told from John’s, Judith’s, or Sonya’s perspective? Reimagine the novel’s telling with your book club; discuss how key events would change when told from the other character’s points-of-view. 3. 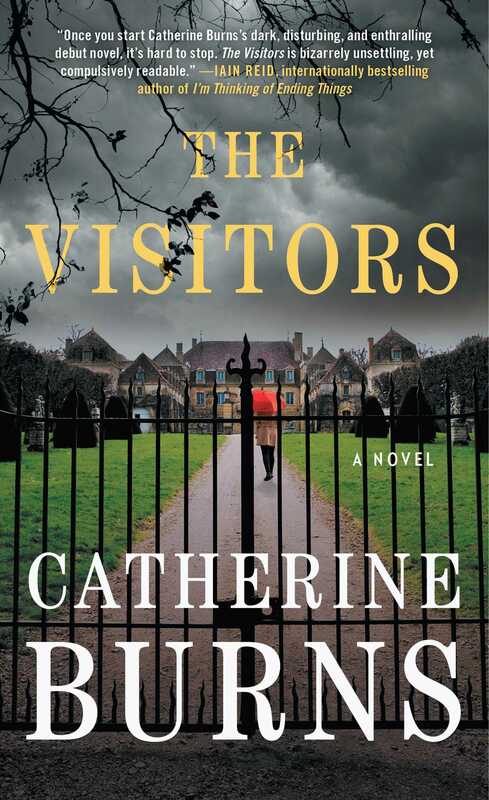 The Visitors is Catherine Burns’s first novel. Learn more about the author by following her on Facebook (https://www.facebook.com/cburnsbooks/) and Twitter (https://twitter.com/c_burnzi).